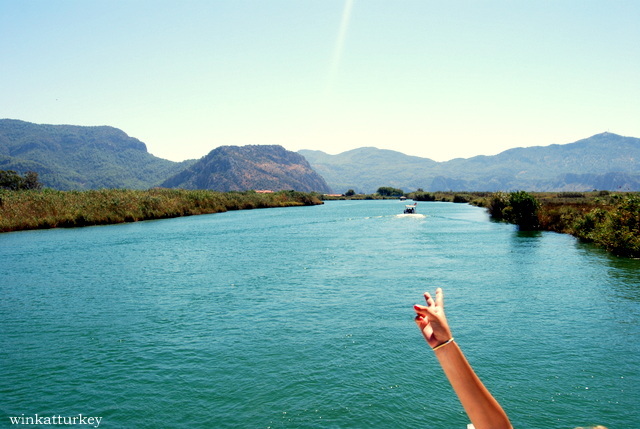 Dalyan is a small town located in the southwestern Mediterranean coast of Turkey. Surrounded by cotton fields, pine-covered hills and miles of pristine beaches is a place of great natural beauty. Not only a place to retreat to get lost and forget the stress we suffer, it can be a strategic point from which to make numerous trips from. 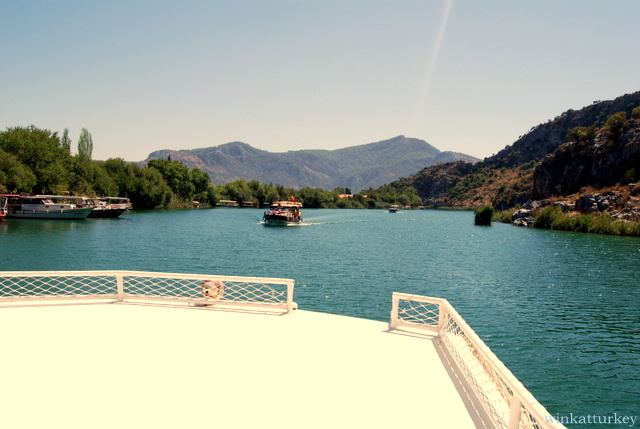 Of note is the large number of boats that cross the Dalyan River and especially the colorful thereof, making it a spectacle. 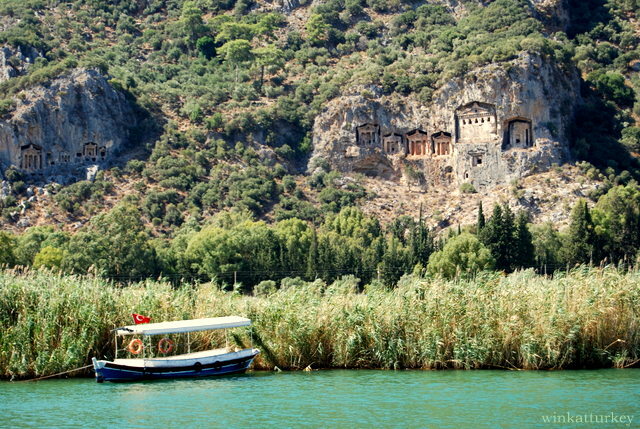 The village of Dalyan is built on the banks of the river of the same name and near the Lake Koycegiz. 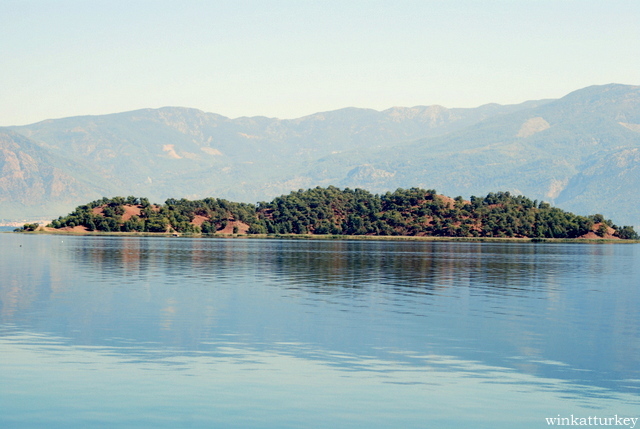 Located off the Carian city of Caunos, which was founded around the year 400 and. The place is perfect for practicing trekking, Diving, rafting , cultural tourism and to enjoy one of the many boat trips on offer. If we go to find a great deal harbor boat trips. The tours are varied as are the prices. One of the most interesting is the one that offers a tour along the river through Caunos,visit to the hot springs and mud baths Sultaniye and exit to the Mediterranean Sea in the beach of Iztuzu will. We can choose the cheapest alternative, offered by the cooperative ship Onsite, or choose the option of renting a private boat. 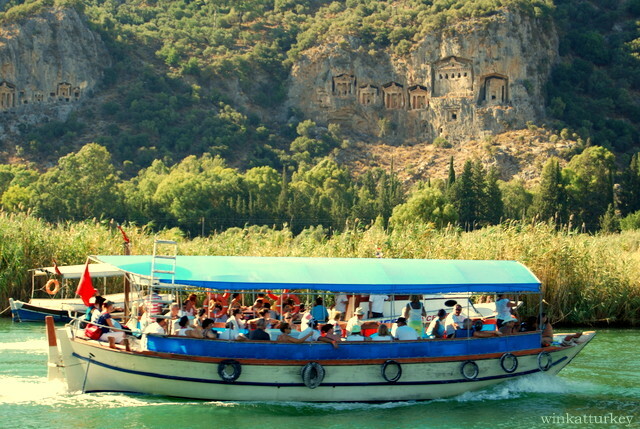 The tour boats cooperative costs about 20TL per person. 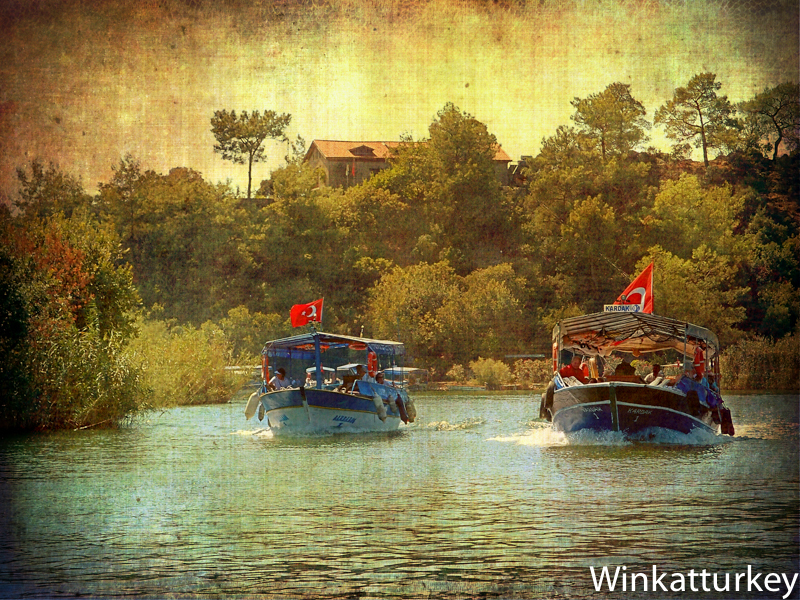 The rental of a boat can be varied, but as a guide a boat to join 10/12 persons between 400/500 Tl. Tip, always you have to haggle the price that you offer at first. 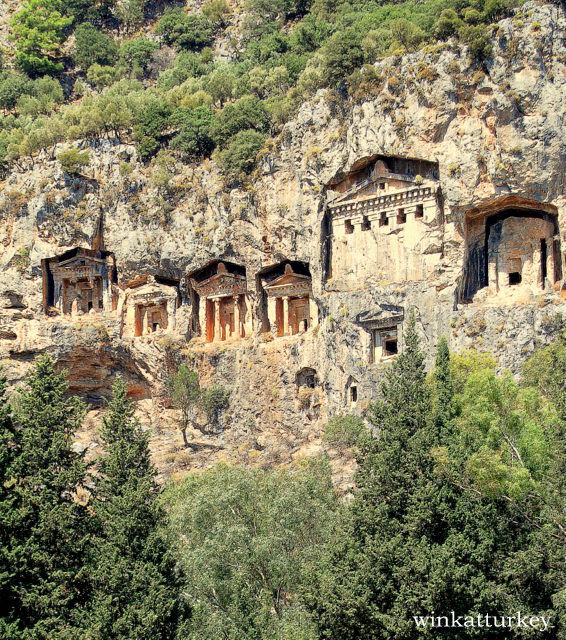 After leaving the port we can admire the spectacular Lycian tombs carved into the rock. Also see other rectangular tombs carved into the rock also, sarcófagos.Todo niches and this forms an extraordinary example of funerary architecture of the time. The trip continues along the river, through reed beds and varied vegetation, towards Lake. Once there, the ship will stop in Sultanas, a hot spring area, famous for its skin benefits, arthritis and rheumatic diseases. But I recommend you to , the smell is awful, because they are very rich waters azufre.La water temperature is around 40 º C. Beside the pools are known mud baths, supposedly high in minerals such as calcium and magnesium, which are very beneficial for the skin and overall health. First impressions can be a bit rude, because the bottom is very muddy, but once one enters is a really neat experience. One can lie on your back and float effortlessly, because the mud keep you on the surface. After fine mud untarnos,give us a good shower and then jump into the lake, where we give a bath. Back up to the boat and continue towards the river mouth. 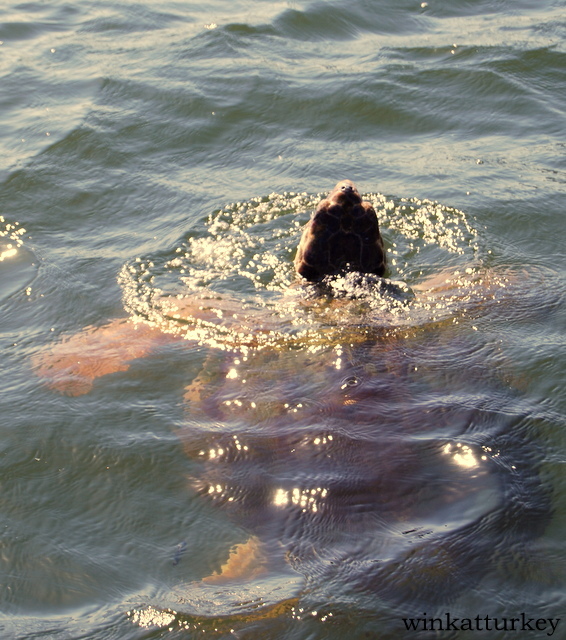 Once at sea, usually make a stop for a swim and try to spot some of the famous turtles that inhabit the area. 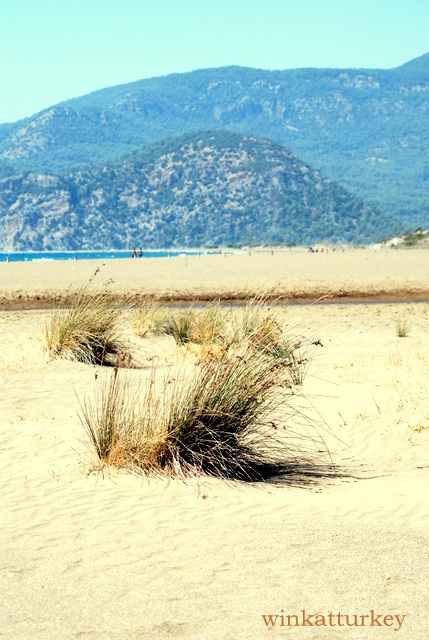 The stunning beach of fine white sand Iztuzu It will border, which is currently one of the last strongholds of the Mediterranean loggerhead turtles nesting (caretta caretta). On the way back a stop is made in the same river delta to try the delicious blue crab, typical of the area. A number of boats anchored in the area cook it on the grill and sell it to tourists. They also use it as bait to lure the turtles stop that they can be spotted easily. Along the way we also spotted some of the more than 100 species of birds in the area. As you see it is a very complete and recommended tour.